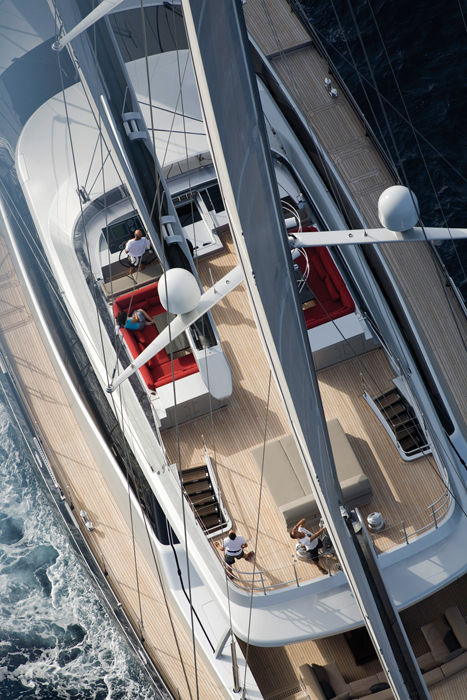 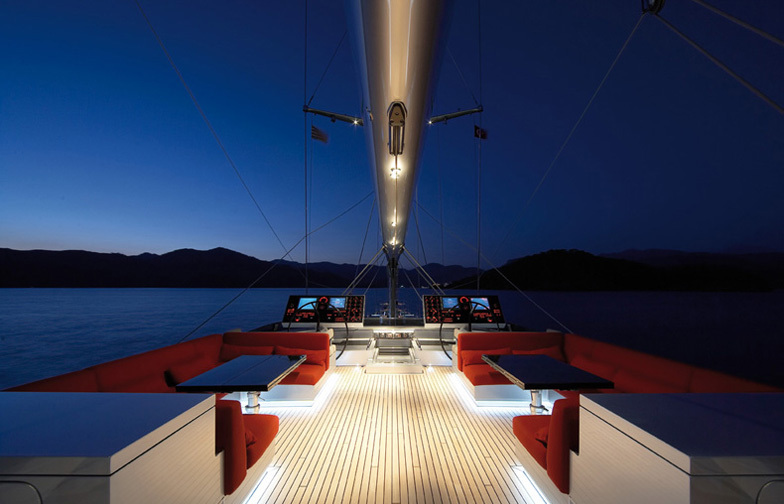 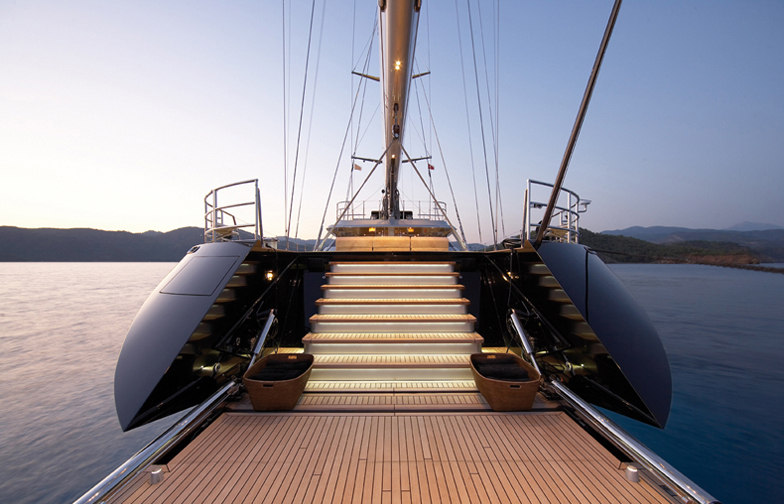 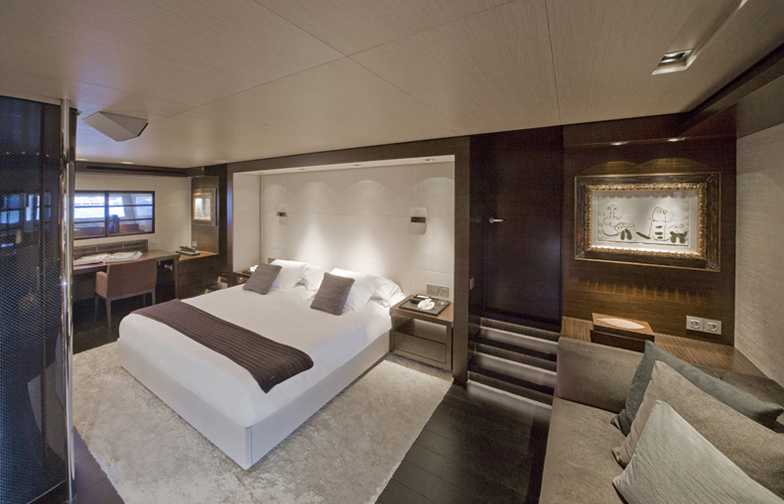 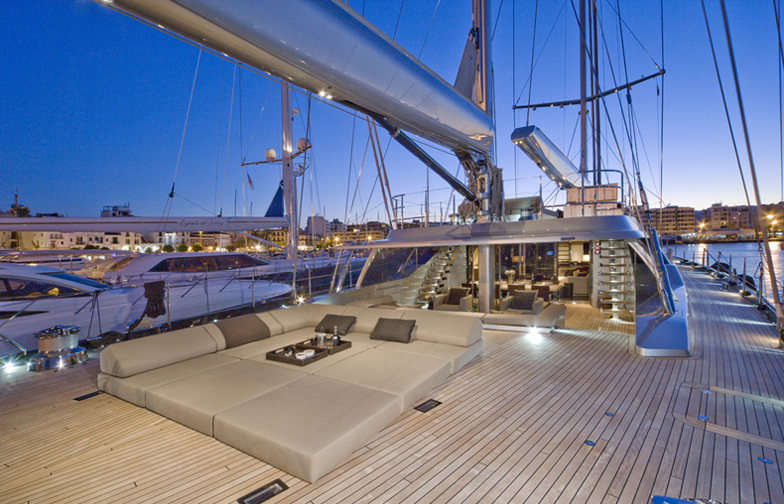 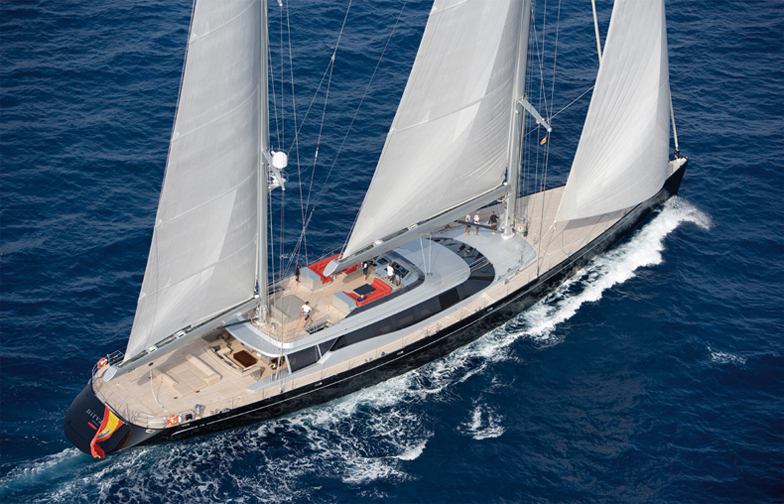 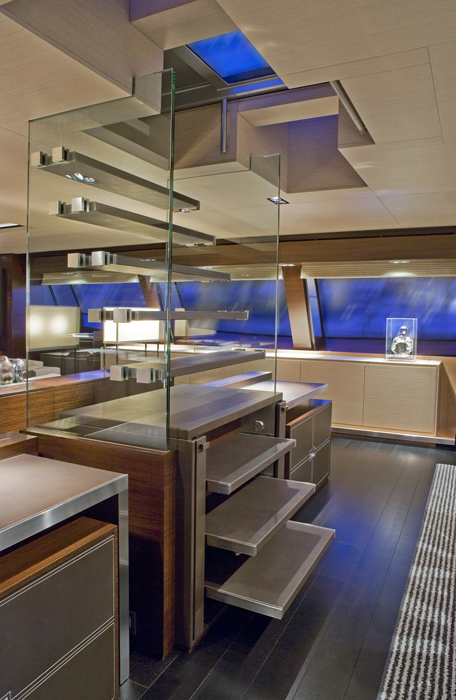 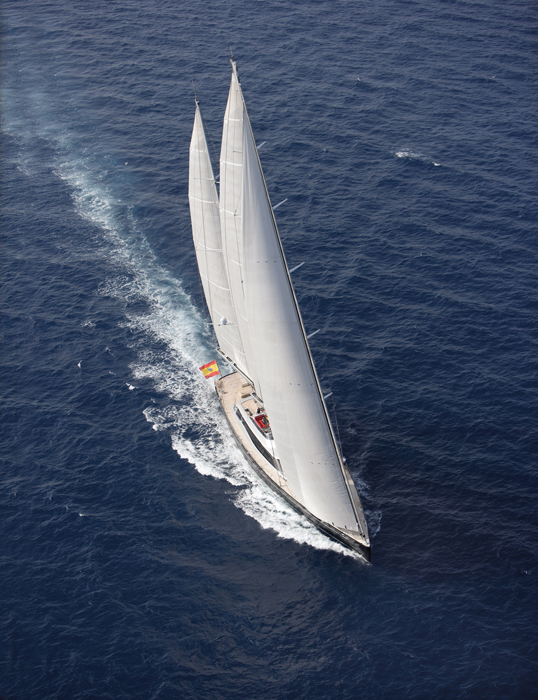 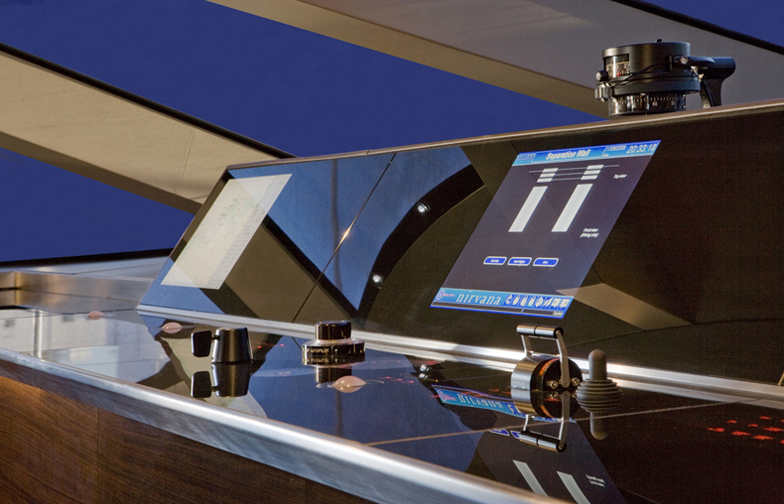 Nirvana was awarded the Prix du Design Trophy at the 2008 Monaco Yacht Show and the International Superyacht Society Design Award 2008 in Fort Lauderdale in the category "Best sailing yacht above 40m". 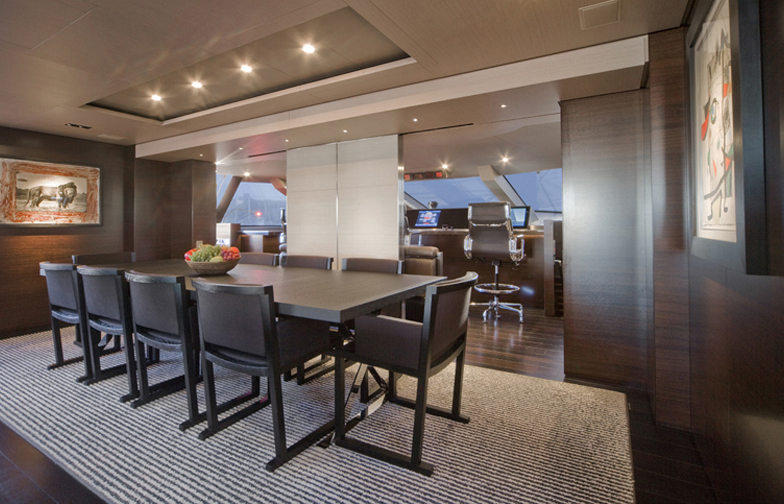 The interior design defines a contemporary and elegant style based on materials that provide warmth, as well as variations of texture and tone. 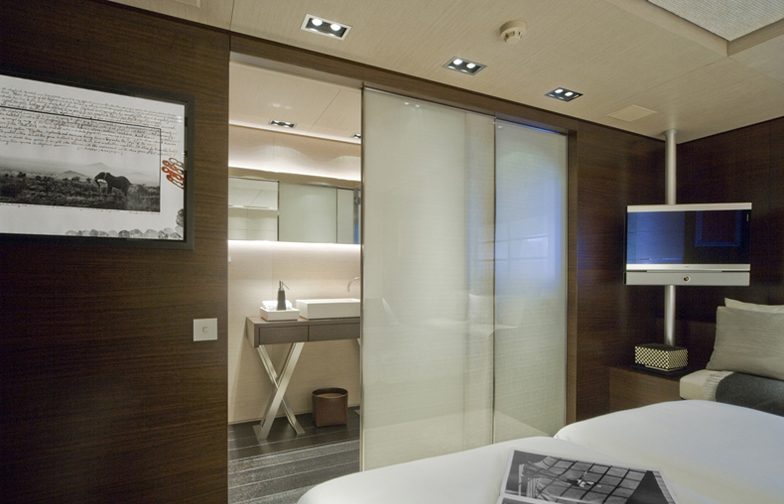 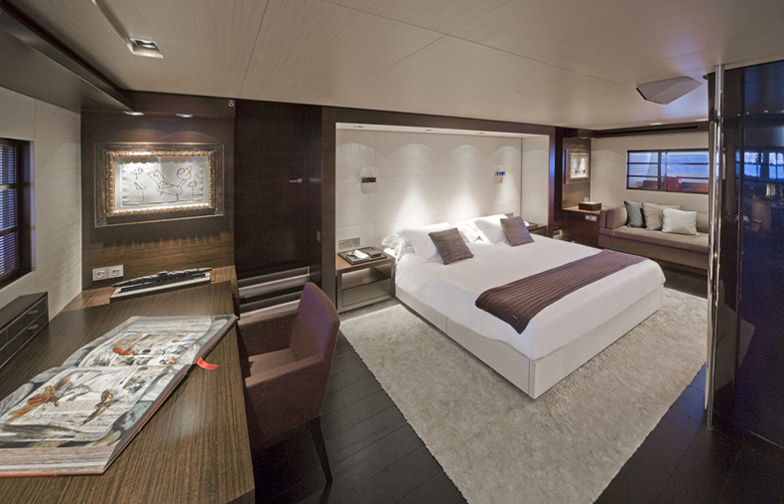 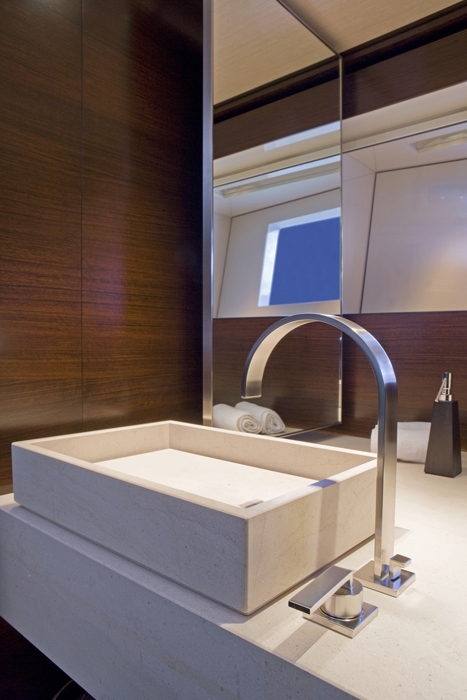 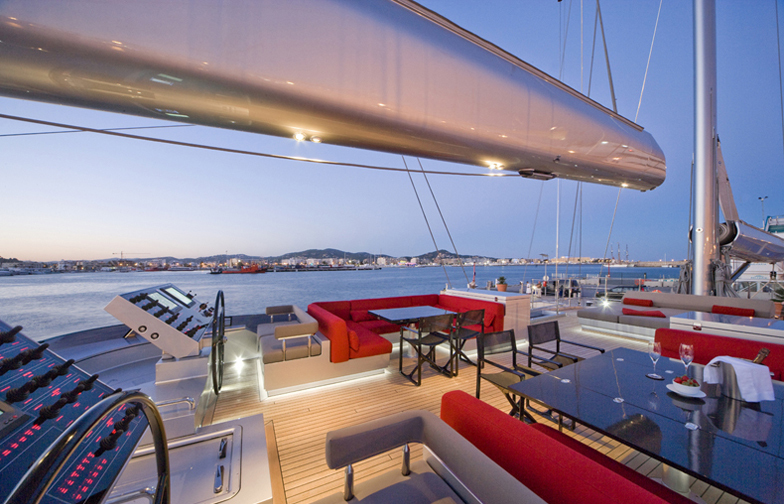 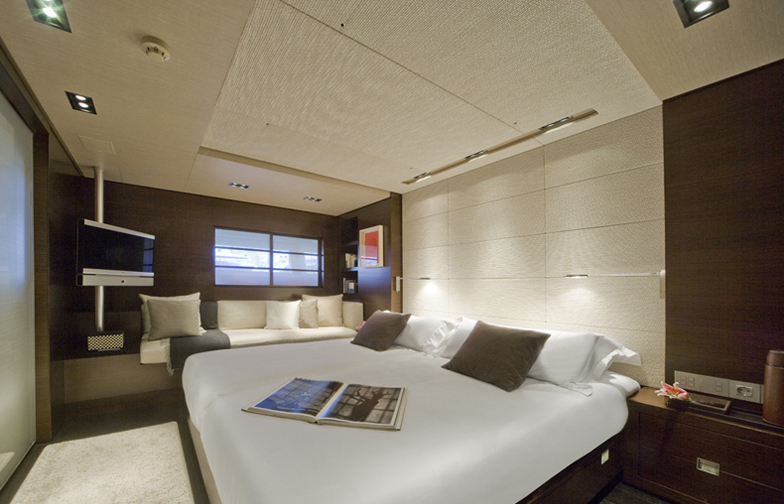 The main challenge was building a luxurious yet comfortable yacht, while maintaining a dynamically flexible relationship between a domestic feeling and high-tech solutions. 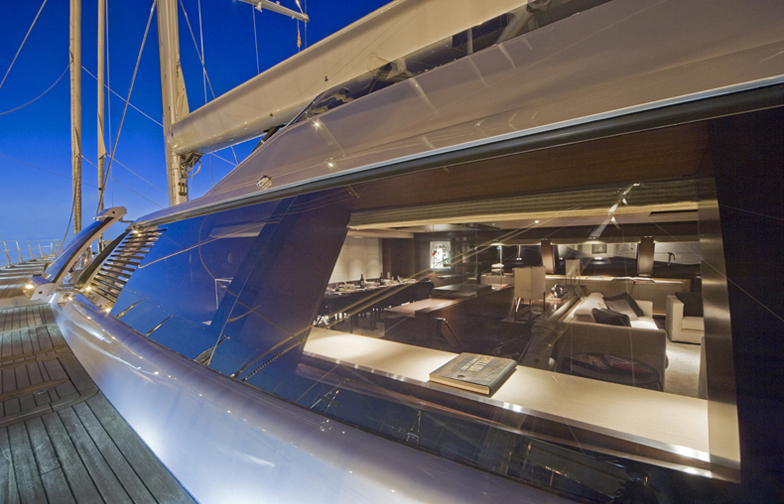 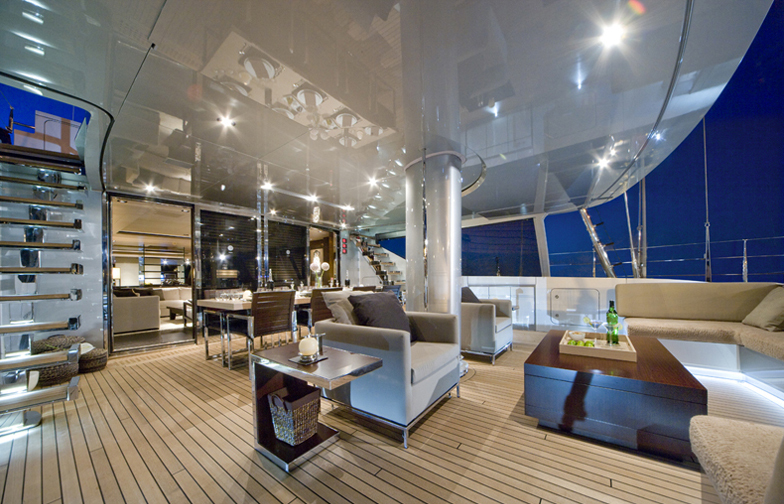 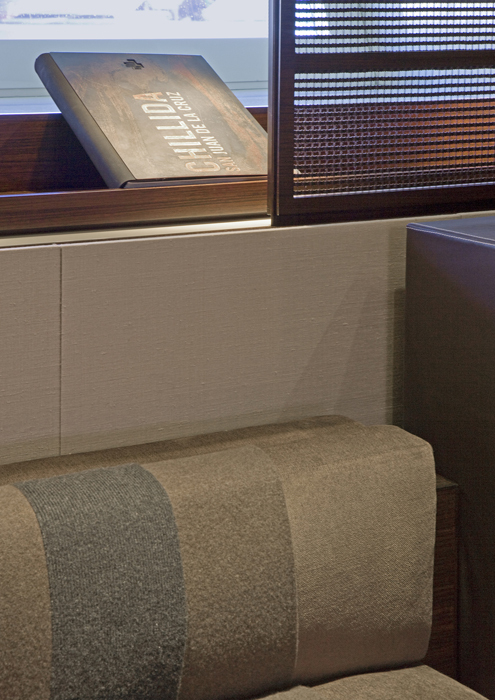 The uninterrupted continuity of interior and exterior on the main deck is achieved through spatial filters, such as sliding silk panels and fragmented glass screens, which allow for custom configurations of different levels of privacy. 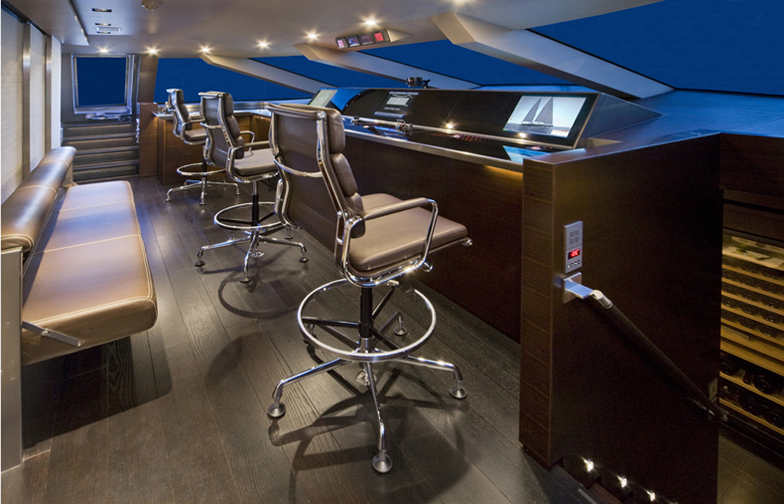 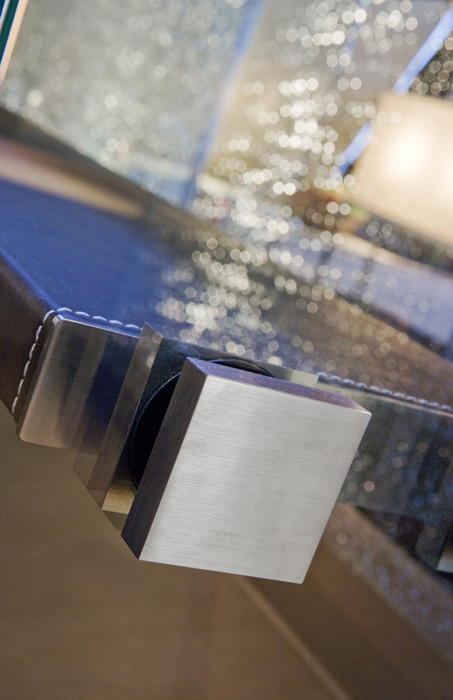 Carefully matching fine materials and paying a special attention to details, the design creates unique elements, such as the staircase connecting the living room to the flybridge. 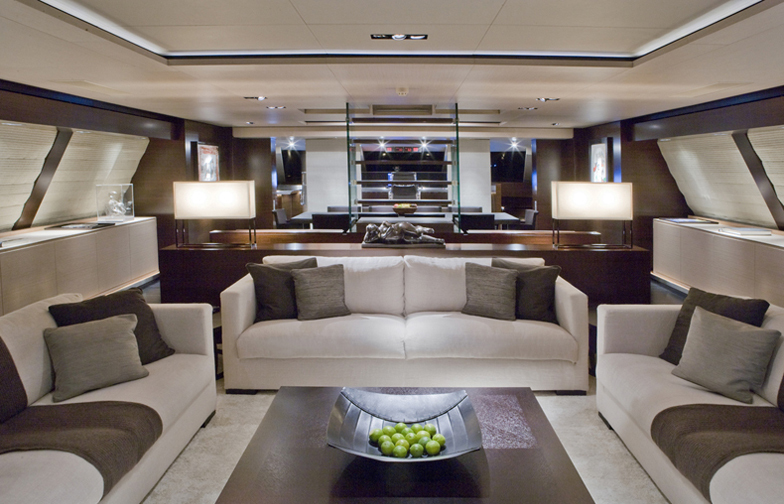 Five leather-lined shelves suspended in hardened glass act as a partition between the living room and the dining area.